Great as party favors or little prizes! 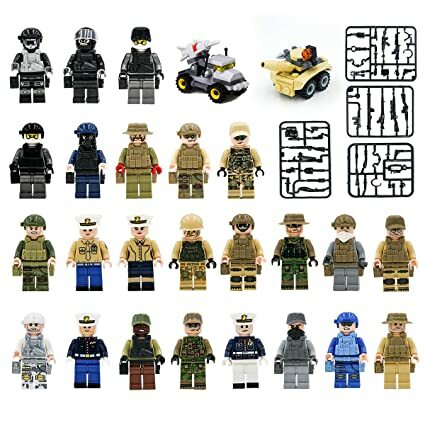 Snag Maykid Minifigures Set of 24 Army Minifigures SWAT Team with Military Weapons Accessories the for $29.99 – $17.99 with promo code 2NOJLLSX = just $12 with FREE prime shipping or free shipping with $35 purchase on Amazon! LIMIT 3 at the discounted price in the SAME transaction!